Leading adhesive specialists, Kenyon Group, have been selected to provide an adhesive & application system for use in producing luxury ‘Ultimate Preference’ beds. The Oldham-based company have been selected by Harrison Beds to provide a bonding solution for their latest product, a £15,000 luxury sleep system which incorporates a tilting device, variable back support, air-conditioning, plasma TV screen, and a massage system along with hypo-allergenic properties. Kenyon Group has been supplying adhesive products to Leeds based Harrison Beds for several years and were the first choice when plans for the new bed were announced. Harrison’s required a hand applied spray system for bonding materials in the construction of the bed, including the foam encapsulation of the pocket spring mattress. It needed to be easy to use, cost effective and environmentally friendly. 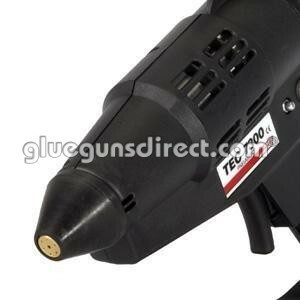 Kenyon Group Ltd fulfilled these requirements by providing the TEC7300 Speedloader glue gun. The pneumatic gun, which uses TECBOND 430-43 hot-melt adhesive cartridges, melts the adhesive on demand and sprays with an easily controlled pattern. The adhesive selected was ideal for Harrison’s needs as it is solvent-free and remains tacky for several minutes, allowing time to apply the adhesive and to bring the materials together. The TEC7300 Speedloader gun is the most powerful of its kind and features two 500w heaters which provide an extremely quick melt rate. It holds two extra cartridges of adhesive in reserve for fast re-loading and also has the option of different cable lengths: 3, 6 or 12 metres. Both the adhesive and the applicator are manufactured in the UK.